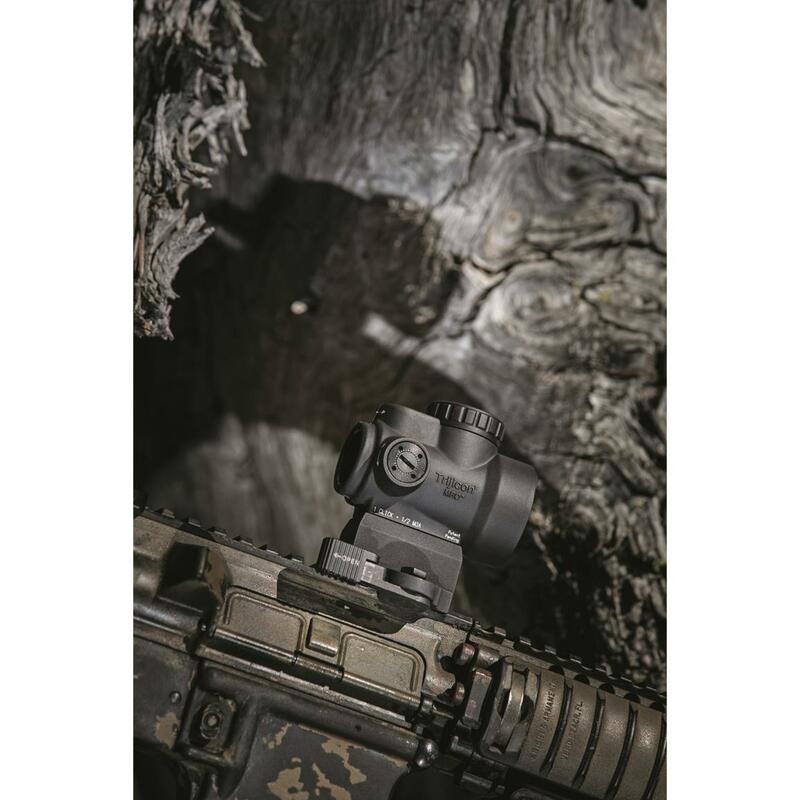 Red dot provides fast target acquisition. Point ’n’ shoot FAST! 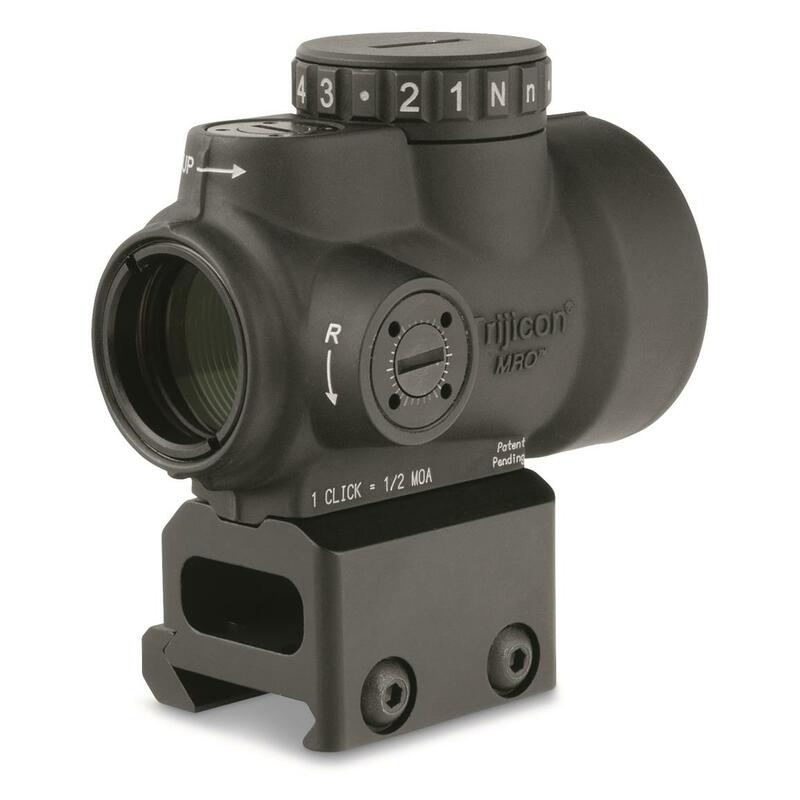 The Trijicon Miniature Rifle Optic (MRO) is a reflex-style, sealed Scope is intended for use on rifles, carbines and shotguns to provide fast target acquisition. Lightning-quick, super accurate targeting! That’s the scoop on this durable, well-made Scope, thanks to the red dot, featuring 8 brightness settings. It’s clearly visible in lighting conditions from dark to bright. It's designed to be used with both eyes open, providing the shooter with maximum situational awareness. You instantly see the dot superimposed right at the center of your target for the easiest possible aiming. Pinpoint this deal by ordering ONLINE today! Trijicon MRO 2.0 MOA Adjustable Red Dot Scope with Full Co-Witness Mount is rated 5.0 out of 5 by 5. Rated 5 out of 5 by Jorge from Very happy. I got the chance to test out just how good this optic is last night. Daytime shooting, I've shot out to 200 yards and the dot doesn't cover the target, it's crisp. Night shooting? I could use the night settings and turn it down to very minute visibility, making accurate shots using an AR15 with a generic 14" pencil barrel, where I could barely make out the targets, some I couldn't see, shooting at best guess, between the visibility, the powder smoke the reflections from blowing snow and muzzle flash. I found the best of my gun lights are about useless at 200 yards and close to useless at 100 as well. 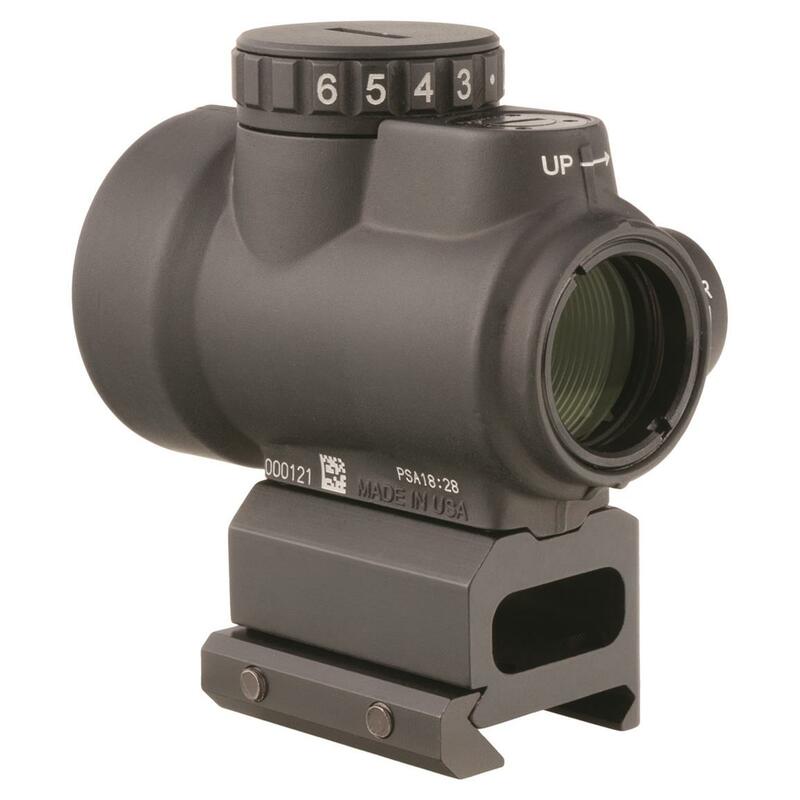 Rated 5 out of 5 by Kaitac from Trijicon MRO Fantastic Optic! 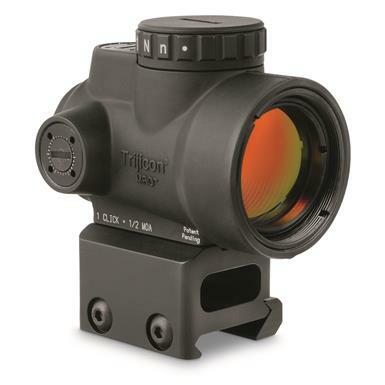 This red dot has a larger window that the Aimpoint allowing for quicker target acquisition. The glass is clear, comes with the full co-witness mount already installed. It was just minutes from out of the box to putting rounds down range. One of the best optics out there for the money! Put your eyes on the prize, faster and easier!